Whether your book is traditionally or self published, the book cover design is a crucial element in helping guarantee sales. Obviously good book content is critical, but the first thing that a potential reader encounters will be your cover. 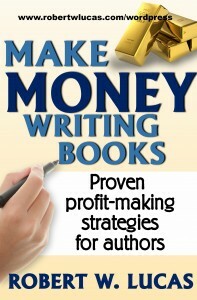 For that reason, the book cover design should be a priority when creating your masterpiece. If you go with a traditional publisher, they will handle the majority of the design process. Depending on he publisher, they might allow you to have some input. Typically, they will control the process and make the final determination. Should you decide to self publish your book(s), you are strongly encouraged not to handle your own book cover design, unless you have a solid graphic design background. Even in that instance, getting input and feedback on several book cover design options from others is important. The following are some book cover design secrets for making sure that your final product grabs reader attention and stands out from the competition. Title. Make sure that your title stands out against the background of your front cover and that you select a font and size that offers contrast. Avoid putting light or dark colored font on a similar background. If your selected color does not jump off the page, try putting a shadow effect around the lettering or finding a different color for either the font or background. Ensure that your title is the most prominent thing on the cover. Unless you are an internationally-known author (e.g. James Patterson, J.K. Rowling, or Steven King), your name should be secondary in size. A good way to determine if your title is sized correctly is to reduce it to a one-inch image on your computer screen, then try to read the title. If it does not stand out, change it. This is because, when it is placed on a website for sale, the image will be about that size. If customers cannot read the title, they may pass it by. Front cover image. Select an image that corresponds with the title and sends a visual message related to the theme of the book. Make sure that the image(s) you use are high quality and at least a resolution of 300dpi (dots per inch). This is the minimum quality standard used for effective printed documents. Lowering dpi degrades the quality of the image. Regarding image selection, if you did not take or create it yourself, you must get written permission from the photographer, since they retain copyright. Even if you purchase a license to use an image, ensure that you pay for all the rights for the use you plan for it in writing. For example, if you are going to use it in print and email versions of the book, create marketing materials, develop a print advertisement and create derivative products, get permission to do all those things. Otherwise you could end up in a copyright infringement lawsuit and have to destroy unauthorized products. When buying rights, get the largest size image available even if you are not planning to use it in print. This is because if you buy a smaller image in order to save money and then want to print or use in other formats, the image will degrade as it is enlarged. That does not happen when reducing the image down for a smaller project. Book spine. The spine of the book is the only thing that most potential readers see when looking on a bookshelf in a bookstore or library. Without print on the spine, libraries will not stock your book. The font should be bold and follow the same guidelines as the front cover related to color and font type. Text should be readable from about 12 feet away. This is the distance an average bookstore customer is standing as they look down a shelf. To get a sense of the proportion of your text, place it flat on a table with the cover side up and stand back twelve feet to see if you can easily read it. In addition to the book title on the spine, add the author’s last name (in all capital lettering), and a small version of the publishers logo at the bottom of the spine. A missing publishers logo is often an indicator that the book was self-published and some stores might not carry it. If the book is in a series, put the number of the series above the publisher’s logo so that readers know which version they are getting. Back cover. Typically, after someone pulls a book from the shelf, they will then look at the cover before flipping it over to read information on the back. That is why the information that you put there is so important. This is your sales pitch to pique the readers interest and get them to open the book for further exploration. Along with the BISC, you will include a concise synopsis of the content which includes keywords or metadata that will be used to aid in online searches for the book. For example, if you are writing a book on sales techniques, you might use a keyword phrase like “sales skills” in the description. You should also add at least two short reader reviews and a bar code. This the lined box with numbers above it along with the book price. Many publishers are now adding a QR (Quick Response) machine-readable optical barcode that, when scanned by a smartphone or other reader, connects to a website where additional product information can be found online. Here is one of the codes from my latest book. 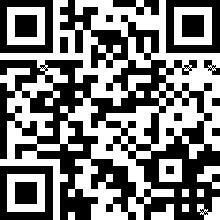 Scan it to see what I mean. Like every other aspect of the book design and development process, quality matters. It is worth the time and money to find a professional to assist in creating a quality product. 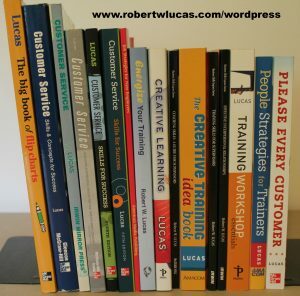 Do some comparative shopping and ask other self publishers for their sources. Anything less than professionalism reduces your chances of winning book awards, getting into sales venues and generating revenue streams with the book. What tips do you have for creating an outstanding book cover that will help sell more books? This entry was posted in book publishing and writing, self publication and tagged book cover design, designing effective book covers, self publishing. Bookmark the permalink.